Yoga, we’ve all heard of it. It’s taken Instagram by storm and has been commoditized into a multi-million dollar industry, to the point that most people associate yoga with colorful leggings and expensive yoga studios. Over 27 million people were practicing yoga in the United States alone in 2017. But what is yoga, really, and is it for you? Yoga is a word that encompasses a huge array of spiritual, religious, physical and mental practices that originated as a part of Hindu philosophy in ancient India. Typically it includes various forms of meditation, commitments to live within a certain realm of values in your everyday life, breathing exercises and the regular practicing of a series of postures to the rhythm of your breath. It requires mental discipline, balance, flexibility, and strength. Nowadays, the postures, or asanas, have been adopted by the western world with enthusiasm, primarily for their physical benefits, although many practitioners also become students of the broader teachings that yoga encompasses. Consequently, yoga today usually means a class of around an hour in duration, with a teacher guiding the students through various postures, giving direction for correct alignment and breathing. Purists will say that many of the forms of yoga practiced today in the west are not actually yoga. However, if your intentions are to do something good for your body, you don’t intend on harming anyone else, and you show up on your mat making the commitment to try your best in each of the postures while not judging yourself, then welcome to yoga! This article will explain everything that a complete beginner needs to know about yoga before you start. 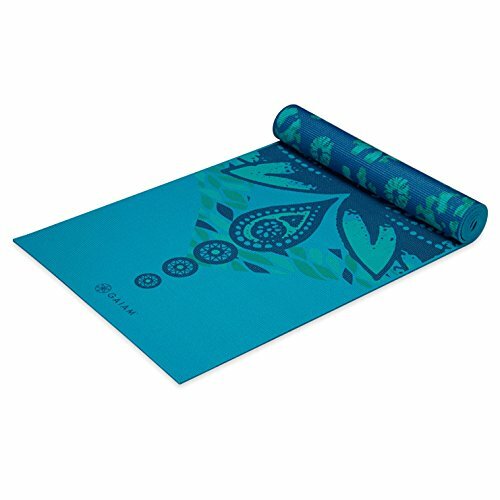 In the last section, I’ve also included 6 fantastic options for yoga mats, the only really essential piece of yoga equipment you need to get your yoga journey started. Yoga has become increasingly commoditized over the few decades since the first manufactured yoga mats hit the market in the 1980s. Consequently, many people think of yoga as simply a physical stretching and strengthening routine. However, yoga is much, much more than that, and it can be helpful and interesting to know a little about where it came from. Yoga is first referenced in the Vedas, ancient Indian scripts dating from 1500 BCE onwards, but in those early days, the term meant something very different. Early asanas or yogic poses are thought to have originated from sacrificial ceremonies conducted by early Vedic priests. Later, in Hindu and Buddhism, yoga came to represent more meditative and spiritual practices. Over time it has evolved to become the yoga we know and love today, which is primarily focussed on physical movement and alignment with the breath. Yama which deals with integrity, honesty, and non-violence (the reason most yogis become vegetarian). Niyama focuses on self-discipline in body and mind. Asana describes the physical practice of yogic asanas or postures. Pranayama is effectively breath control. Pratyahara involves focused introspection and a drawing away from the senses. Dharana is the practice of concentration which paves the way for meditation. Samadhi is the final state of bliss and ecstasy that is experienced once all preceding 7 limbs have been mastered. So we see that the most common western understanding of yoga is in fact only 1/8 of what yoga actually is. But this doesn’t mean we should abandon yoga postures. Simply remembering that a lot of the benefits of yoga come from what you do with your mind, while still maintaining a regular practice of the asanas is arguably far better than nothing. Regular practitioners of yoga experience a multitude of health benefits. However, the emphasis here is on regular, meaning 5 or 6 times per week, even if it’s just for 15 minutes. Going to a class once per week is going to limit the benefits that you could potentially gain from including yoga in your daily health and fitness regime. The secret to yoga is a regular practice. 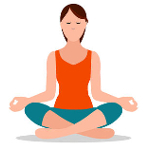 People choose to practice yoga for many different reasons, some use the asanas simply as a form of exercise (which they are), some as a warm up or warm down before or after other forms of exercise such as running, some aim to lose weight, build muscle, recover from an injury, prevent future injuries, increase flexibility… the list goes on. But it really doesn’t matter, because the benefits are endless and they are available to everyone. The most cited health benefits of yoga include increased flexibility, strength, balance, and posture. Supports bone and ligament health. Boosts your immune system through stimulating the lymphatic system. Reduces stress through reducing cortisol. Helps develop mental strength and discipline. Some people find that they experience better sleep after practicing yoga, they cope better with stressful situations and they find that they don’t need to include so much caffeine or alcohol in their day to day lives. Others find that the pain they experience from sitting for long periods in an office job is remedied by practicing yoga while others find relief from arthritis. The benefits really are so wide-ranging that I couldn’t possibly list them all here. But yoga really has something for everyone, and the best part is, that it is never too late to start. There are many different types of yoga, each with varying levels of intensity. Some types will focus more on the breath, holding postures for much longer, and maybe going into deep stretches. 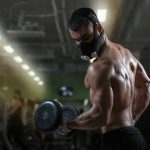 Other types will be more vigorous, have you working up a sweat and could almost be considered cardio. However, there are some things that all styles of yoga have in common. For example, all yoga classes will finish with some kind of relaxation sequence, usually in savasana, lying flat on your back, and leave you feeling deeply relaxed. All yoga styles also aim for balance as the primary goal. 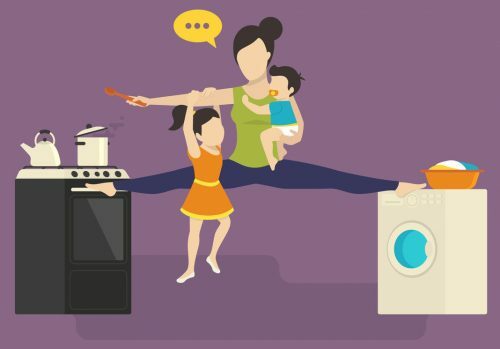 This includes the most literal definition of balance such as balancing on one foot in various poses, to balancing the stretching and strengthening of all the muscles throughout the body. Each pose is usually followed by a counter pose so that muscles are stretched equally, preventing injury and improving the body’s alignment. Finally, one of the primary goals of yoga is to balance the mind through focusing on the breath and the pose and letting go of your day to day thoughts and preoccupations. The type of yoga you choose will depend on your goals, but it pays to be open minded and try a few different styles before you find what works. This section will give a quick overview of the most common types of yoga. Hatha yoga simply means yoga that consists of the physical practice of asanas, yoga poses, as opposed to the meditative and karmic varieties. All types of yoga described below will consequently fit under the umbrella of Hatha yoga. However, in the modern west, the term Hatha yoga is used to describe classes that are often beginner friendly due to their often slower approach to poses and breathing. This does not mean that Hatha yoga should be underestimated. It forms the foundation of 99% of western yoga classes. Ashtanga yoga is a powerful style that includes the eight-limbed path, with the physical aspect of the asanas consisting of a memorized sequence that is repeated, ideally, every morning, 6 days per week. The routine starts with repetitions of sun salutations and then moves to a standing series, finishing on the floor. 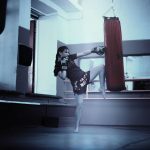 Though the advanced classes are extremely advanced and far from most people’s reach within their lifetimes, beginner-friendly classes do exist. Ashtanga is the perfect style for waking up your body in the morning with its vigorous sun salutations, stretching and opening the spine. Once you have memorized the sequence, you will be surprised how quickly your body gets used to the poses. While most people prefer attending yoga classes that stimulate them with variety, the repetitive nature of Ashtanga is deliberate. The routine quickly becomes therapeutic and allows you to go deeper into the poses sooner than you would perhaps manage with classes that follow a different routine each time. 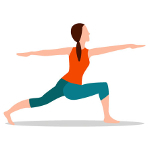 Vinyasa yoga, also known as ‘flow’ or Vinyasa flow’ was adapted from Ashtanga in the 80s so there are some similarities in style, particularly the sun salutation sequence. However, Vinyasa doesn’t follow the same memorized sequence like Ashtanga. It includes a slightly wider variety of beginner-accessible postures but moves through them in a fluid style, following the rhythm of the breath, and for this reason, can be a vigorous workout. Most classes at yoga studios, unless specified, will be based on Vinyasa. Bikram yoga is the original hot yoga, following a set sequence of around 105 degrees F and 40% humidity. There are many similar poses to Ashtanga and Vinyasa but without the flow component. Though the first few classes are always difficult if you’re not used to exercising in the heat, the body adjusts surprisingly quickly. You will definitely work up a sweat in this class and you will either love it or hate it. If you’re participating in a yoga class set in a deliberately heated room but not specifically following the set sequence of Bikram poses, you’re doing hot yoga. Basically, yoga, in a warm place. It’s not a traditional style as such, as any style of yoga can be practiced in a hot place. But, proponents of hot yoga speak of the specific benefits of practicing in the heat, such as increased flexibility and the detoxing nature of excessive sweating. Like Bikram, it takes a few classes to get used to the heat before you can decide if it’s for you or not. Like ‘hot yoga’, ‘power yoga’ isn’t a traditional style of yoga, but it’s a form of yoga recognized in the west as being strength and endurance focused. If you’re looking for a workout with plenty of focus on core then power yoga is the way to go. Iyengar yoga tends to be a slower, more meditative class but this does not mean it is easy. Poses are held for a longer time than on other styles and so the focus is on the position, body alignment, and going deeper into the pose. Lots of props are used such as bolsters and blocks to help you stay in position. Iyengar is among the best yoga for beginners learning the poses due to its longer holds and focus on alignment. Yin yoga is possibly the most beginner friendly as the pace is slow and poses are held for a long time (anywhere from 30 seconds to 5 minutes) so you can wrap your head around what’s happening. However, the poses are stretch focused so there are no strength benefits from Yin yoga. It is a deep-stretching, relaxing, meditative practice that definitely leaves you feeling ‘zenned out’. Yoga and Pilates have similarities. However, they are essentially very different. And, in order to give both the respect that they deserve, it is important to understand the differences. Yoga is much, much older, as explained earlier in this guide, originating in Ancient India, while Pilates was developed in the 1920s by Joseph Pilates. Yoga is a philosophy with guidelines for all aspects of a person’s life while Pilates, though acknowledging the need for a strong mind in order to have a strong body, is purely physical. Yoga includes more of a focus on flexibility while Pilates focuses almost exclusively on alignment and core strength. So while yoga also results in increased strength, the strength is acquired over time as you become more accomplished in the postures and is balanced with an increase in flexibility. Both use the breath in order to practice control but yoga uses the breath for more meditative and spiritual purposes through promoting discipline, while Pilates focuses on will-power and discipline in order to promote physical strength. 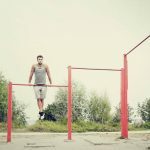 Consequently, whether Pilates or yoga or a combination of the two (yogalates) is for you, ultimately depends on your goals, but both can be fantastic workouts! Yoga is possibly one of the easiest forms of exercise to do from your own home, or from your hotel room or even your campsite! It’s so convenient to roll out your yoga mat wherever you may be that you simply have no excuse not to practice regularly. Whether it’s the first thing you do in the morning or the last thing you do at night, yoga can be included seamlessly into your daily routine. 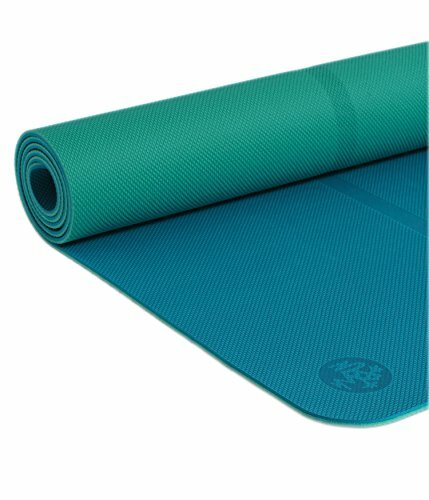 Purchase a yoga mat (there is a list of some great options to choose from at the end of this guide). Select some comfortable, stretchy clothes that won’t restrict your movement. The best yoga clothes are whatever you are most comfortable in, whether it be leggings and crop top or shorts and a t-shirt. Select a space to roll out your yoga mat where you can spread your arms wide and up above your head without crashing into anything. Choose a beginner class to follow on YouTube or a yoga app. However, to get the most out of your yoga practice and ensure safe, continued improvement, it’s worth baring some other things in mind. Though practicing yoga at home is great from the point of view of our wallets and cutting out travel time, it is beneficial, and safer, to go to at least a handful of classes with a trained yoga teacher when you’re starting out. This is because, even if the yoga teacher on your phone is explaining the posture alignment in minute detail, it can be very hard to know whether you’re actually in the correct position without someone else’s outside perspective. You might think your back is straight in that plank but you’re actually sagging at the hips! A trained yoga teacher will help to set you up in variations of positions to suit your flexibility and strength level, as well as making sure that you are correctly aligned so that you don’t injure yourself. Once you’re familiar with the postures and how they feel when you are in the right alignment, you can take your practice home and pursue your yoga goals there, safe in the knowledge that you won’t injure yourself by twisting too far! A general rule of thumb is to have a snack 2 hours before your yoga practice so that your food has had a chance to digest. However, morning yoga is usually practiced on an empty stomach. If you have to eat something within that 2-hour window, make sure it’s light and easy to digest as a full stomach will definitely hinder your practice. A piece of fruit, a muesli bar, a small sandwich or a smoothy are all great ideas. For the same reason, drink small amounts regularly but don’t have a huge drink right before a class or during. Especially in hot yoga, as you might just bring it back up again! The best time of day to practice yoga is whenever you can regularly commit to getting down and dirty with your yoga mat. Traditionally, yoga was practiced early in the morning. 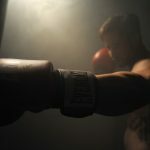 However, the majority of the benefits can still be had from practicing at any time of day, so long as the practice is regular. The only thing to bear in mind is how easily you will be able to fall asleep after a vigorous evening yoga session! As with any new form of exercise, you will likely find some muscles that you didn’t know existed! You can expect to feel a little sore after your first few classes as aside from stressing your muscles through weight-bearing poses, you’ll likely be stretching them a little more than they’re used to. Yoga repeats the poses throughout the class so that each time you return to a pose, you’re stretching a little more than the previous time. You’ll notice your hamstrings have never felt so well-stretched! 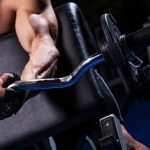 Your wrists will need to gain some strength in order to take your weight and you don’t want to over-do it. SO, begin gradually. Start with around three 15 minute classes per week and build up gradually. 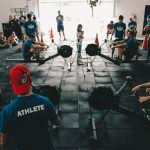 This depends on your goals, ie, whether you’re specifically looking to improve flexibility, strength, recover from an injury, or just reap the multitude of benefits to be had from practicing yoga. As a beginner, you may find that faster paced yoga classes are just too fast and you’re always one step behind until you’re more familiar with postures and know how to move into them. So, slower paced classes are the best place to start. Any class claiming to be Hatha yoga will usually be a good place to start for a beginner. Iyengar yoga is also fantastic for beginners due to the emphasis it places on alignment. However, the best way to figure out which style you like is to try them out! Unless a studio specializes in a specific type of yoga, most will have classes of different styles allowing you to try them out until you find a style you like. YouTube also has many, many different classes where you can get a good feel for the different styles. 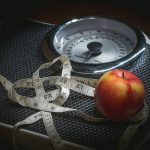 Any kind of yoga can be great for weight loss if you practice regularly and watch what you eat outside of class, as yoga connects you to your body in a way that makes you aware of your genuine hunger and less likely to eat unnecessarily out of habit. However, generally speaking, the more physically challenging the class, the better it will be for weight loss. Hot yoga and Bikram yoga stress the body in unique ways which have been said to aid in weight loss. Just make sure to stay hydrated! Power yoga and Vinyasa are great choices for weight loss as they are strength focussed and usually end up being quite a tiring work out! Pretty much any yoga is good for the morning. You can’t really go wrong with doing yoga in the morning as all classes and series are designed to warm you up slowly and warm you down at the end. You can control how vigorous your practice is by the speed you move through the postures and how you breathe. Doing some brisk sun salutations with deep breathing is arguably better at waking you up than a coffee! So, both Ashtanga and any Vinyasa-based classes will be a great choice for the morning. Bad Yogi’s Quick Start Morning Flow class is a great option. All yoga is great for flexibility! If your flexibility is not slowly improving with repeated yoga practice, you’re doing something wrong! However, there are some things you can focus on. Try holding poses for a little longer, breathing long breaths and relaxing until you feel yourself sinking a little deeper into the pose. Just know the limits of your body and don’t over-do it. As with all yoga poses, it’s ok to be a little uncomfortable (it’s actually kind of the point! ), but if you start feeling actual pain, pull back. Any yoga style that holds poses for a little longer, such as Yin, will be great for flexibility. Yoga is fantastic for remedying all kinds of back pain due to its lubricating effects on the spine, stretching and strengthening the back. Some poses, in particular, are great for providing immediate relief. Cat and cow pose involve being on all fours and arching and dipping your back slowly, (like a cat and a cow!) in time with your breath. Child’s pose (also used in Pilates as a rest position) is also a great position, providing a light stretch while being extremely relaxing, and supine twists provide more light stretches for the lower spine which can relieve tension that has built up through the day. Basically, you can’t go wrong when using some light yoga to address lower back pain! Yoga with Adriene has a video specifically for lower back pain. Almost all yoga sequences will work the core to some degree. However, some poses target the core and abs specifically. Navasana, or boat pose, plank, and dolphin have to be some of the best ab-firing yoga poses, especially if used as part of a flow routine moving slowly into and out of the poses repeatedly. …and Kino Yoga has some great core focussed videos too such as this one. Any yoga pose that involves resisting gravity in some way, ie, you’re not sitting or lying on the ground, will be requiring strength to some degree. Simply holding downward dog for more than a few breaths requires upper body strength. However, some poses are more challenging than others. The poses mentioned above, boat, plank, and dolphin, are all fantastic poses for increasing strength. 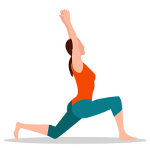 Others include utkatasana, or chair pose, which is great for the quads, extended side angle which uses almost everything, and the warrior poses. Committing to 30 days of Yoga is a popular way to cement your practice and reap the rewards of practicing regularly. Most people find that once the 30 days are up, they want to keep practicing every day. 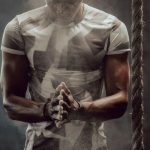 Some great resources are available if you want to do a 30-day challenge yourself. Yoga with Adriene has 30 days of classes available on YouTube so you can start your 30-day challenge any time regardless of whether you missed her annual January challenge. Kino Yoga provides 30 days of classes on YouTube which focus on one posture making it a perfect series for beginners. Kino is a legend in the yoga world and the real deal when it comes to yoga teachers. Kino provides the best yoga workouts for those wanting to get into Ashtanga. Bad Yogi aka Erin Motz is a fantastic teacher for beginners to yoga as she explains the necessary alignment of each posture in detail. Her 30-day challenge is very popular and comes highly recommended. Erin provides some of the best yoga workouts for targeted muscle groups such as abs. 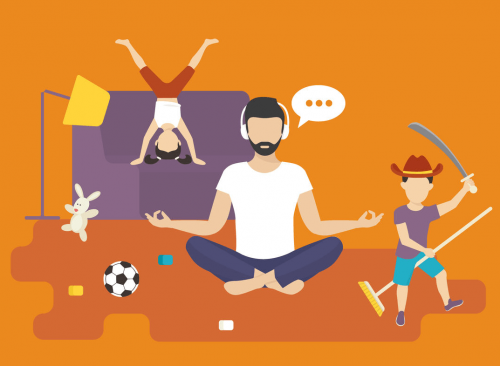 With its pose library for looking up postures that you’re not familiar with, in conjunction with its variety of video content with voice instruction, Daily Yoga will fulfill all of your daily yoga practicing needs. It has more than 200 videos including Pilates and meditation so you won’t get bored and 500+ yoga poses with voice instruction for ensuring you know exactly what you’re doing. 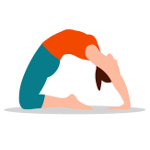 This is one of the best yoga apps all around. Similar to the classes on her YouTube channel and more, Yoga with Adriene’s app lets you have Adriene in all her teaching glory on your phone, anywhere you might choose to practice. 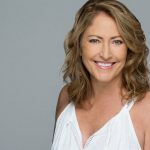 She has a huge range of classes for all levels and lengths and with different focuses, including a few running specific classes for warm ups and warm downs. 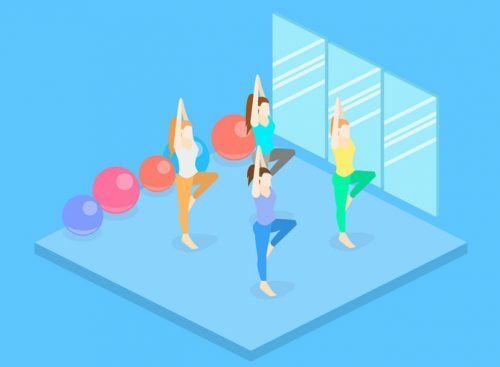 Her followers stick around for her quirky personality and the feeling of connecting with your teacher so if you’re after an app that’s a little more human than a faceless voice, Yoga with Adriene is one of the best yoga apps out there. Down Dog provides great free content with the option of upgrading to paid content. The advantages to Down Dog’s classes is that they are customizable so you can choose length and speed of class to suit your daily goals. 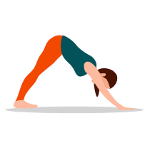 It may not provide quite enough instruction for complete beginners, but if you’ve got a bit of yoga under your belt and are looking for a free app, this is a great choice. 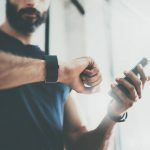 If you’re just starting out, or you’re a frugal minimalist like me, you may not need to go and purchase all the bells and whistles that the yoga industry has created. The beauty of yoga is in its simplicity and the fact that you don’t need a whole bunch of expensive stuff to practice. If you really want to get down to basics, strictly speaking, you don’t need any special equipment to practice yoga, just some comfortable clothes and a flat section of floor. However, at the bare minimum, investing in a good mat will make your yoga far more enjoyable and may help with staying motivated. Some of the best yoga brands include Lululemon, Jade, Liforme, and Manduka but there are many, many more to choose from depending on your criteria. The best yoga brand for you might be one that prioritizes local and environmentally friendly practices or one that offers the best guarantees. When it comes to buying your mat, paying a little extra for top quality is well worth it. A good yoga mat will last many years while maintaining its grip, cushioning and durability. Better quality yoga mats are also typically made of more environmentally (and human-friendly) non-toxic materials. Many Walmart and K-mart style stores stock cheaper brands which simply aren’t grippy enough for any lasting yoga practice, deteriorate quickly and aren’t made of the friendliest materials. Arguably, while ancient yogis didn’t use mats, they also didn’t focus excessively on the asanas, with more emphasis placed on meditation and breath work. In some yoga traditions such as Ashtanga, yoga was traditionally practiced on rugs. Animal skins were also used for their grip, or yoga was simply practiced on grass. These days, with yoga being practiced in studios with wooden floors, or at home on the carpet, grippy yoga mats can make things much easier! I have tried holding a downward dog on a slippery carpet – it’s not fun! This is a fail-safe option for beginners, fulfilling all the requirements at an extremely low price. 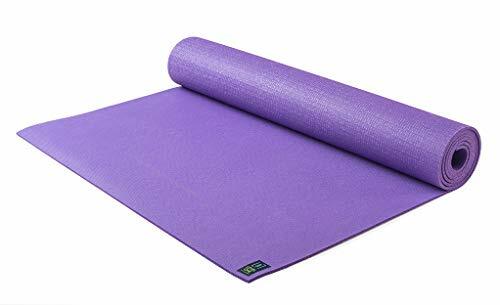 The great people of Jade must have realized that not all beginners can pay top dollar for a top yoga mat, but at the same time are still entitled to a grippy, non-toxic experience. 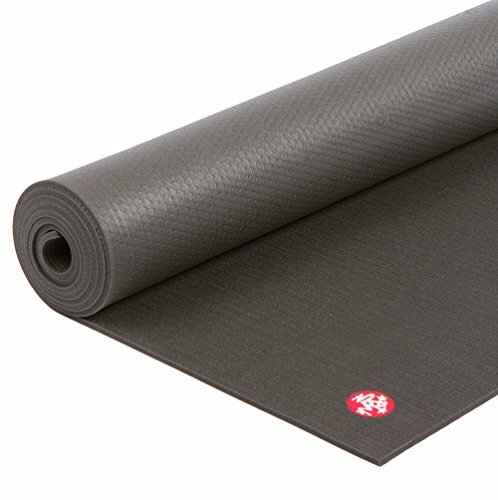 At 4mm this yoga mat fits the bill perfectly. It won’t last forever, but by the time it wears out you’ll be addicted to yoga and ready to upgrade to something that will last a lifetime! If you’re fairly sure that you and yoga are in for a more serious relationship, the Jade Harmony is the best all-rounder in the Jade series. It is made of top quality, sustainably sourced natural rubber so it’s completely biodegradable while providing a good amount of cushion (5mm) and superior grip compared to most other mats. However, because it is biodegradable, the mat will break down over time and needs to be kept out of the sun. But this is a good thing if you care about the environment! 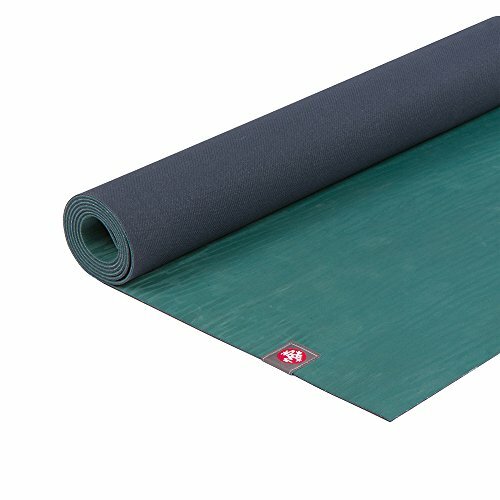 Similar to the Jade Level 1, this is a beginner focussed mat with the necessary grip and cushioning but for a wallet-friendly price. Made of TPE using eco-friendly manufacturing and non-toxic glues. 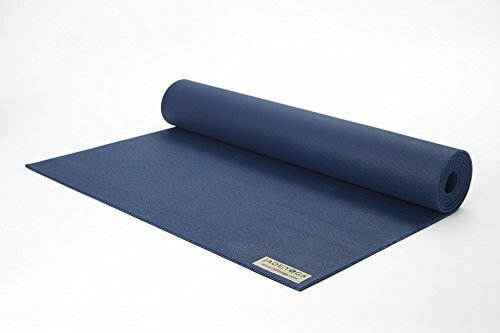 This yoga mat is another fail-safe option, being made of 100% natural materials and sourced from non-Amazon rubber trees, it is good value, cushioned and grippy. It won’t last forever but it’s still touted to be the longest lasting all-natural mat on the market. This is one serious, heavy duty mat. It is one of the most expensive mats on the market, BUT, it is the only mat you will ever need to buy, guaranteed to last your lifetime and have you making shapes for many years to come. It’s not 100% natural but it is non-toxic and latex free. This is the best yoga mat all round if you’re happy to front up the bucks for a lifetime commitment to yoga. Gaiam mats are some of the best value of quality mats on the market. This reversible mat is 5mm thick and made of non-toxic, 6P free PVC. Lightweight and durable while being well cushioned and grippy, this mat is a good choice for beginners looking for a jazzy print design. Yoga Paws are another option, being small, lightweight and ultra-transportable, they may be a solution for the traveling yogi. Though not allowing for any cushioning for your joints against the ground that may be uncomfortable in some positions, they will allow you to do many yoga poses without needing a mat. Once you’ve invested in your yoga mat, you’re going to want to keep it clean. Most yoga mats will come with cleaning instructions, but if in doubt, a quick spray with a diluted plant-based detergent or simply water with a few drops of antibacterial essential oil (such as tea tree or eucalyptus) will do the trick. Wipe down with a damp cloth and you’re good to go. Later on in the game, things that could be beneficial in helping you to progress may be a strap (link to Amazon.com) which will bridge the gap between your hands and feet in certain binding positions, and bolsters (link to Amazon.com) which provide extra support in awkward positions or can be used for stretching. Once your towel is a little damp and your hands and feet are sweaty, you will stick to the towel as well as any yoga mat. Some websites claiming to be the best yoga brands will tell you that the best yoga clothes are those that cost many dollars and flash expensive labels. If this is your jam, then Lululemon has a huge range to choose from. However, none of it is necessary, just wear what you’re most comfortable in. What is the Ultimate Tip You’d Give a Complete Beginner in Yoga? There is a right form of practice for everyone, from the most gentle and introspective to the more rigorous and externalized. Do not compare yourself to anyone else. Explore many classes and teachers until you find one that makes you feel happy and comfortable. And then keep expanding your knowledge through reading the deeper teachings and incorporating yoga into your life. Juliana has been a yoga, Pilates and fitness instructor for over 8 years. 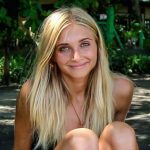 Together with her husband Mark, she runs a travel yoga lifestyle brand Boho Beautiful as well as a Youtube channel. Patience…learn to truly understand what that means to you. Your body will be pushed through many moments of bliss but also frustration, pain, and discomfort. So be patient with your body, be patient with your mind. It is all part of the journey and if you simply breathe and surrender to the process you will come to the realization that any negative reactions or feelings are temporary but the results are life changing. Sarah Beth is a mother, wife & yoga teacher leading over 350k yogis through yoga videos online to get stronger, healthier & happier. Say Hi to Sarah at sarahbethyoga.com and Youtube Channel. We all started as beginners, whether in life, in yoga or writing or really, ability/strength in any form! No one said to baby you “You can’t even walk, so stop trying!” Instead you were cheered you on every step (or stumble) of the way. Trust that as long as you’re consistent you won’t be a beginner anymore, and stop focusing on the destination, and instead focus on growth. It’s much more rewarding. So hopefully you’re feeling well informed and ready to give yoga a shot in your living room! 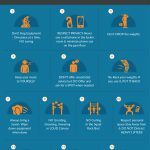 It is such an easy work out to do from home that there are really no excuses not to give it a go! As always, feel free to leave a comment and be sure to subscribe!